A full time blacksmith for nearly 40 years, Jonathan is a popular teacher and demonstrator, able to share his insights into the forging process. 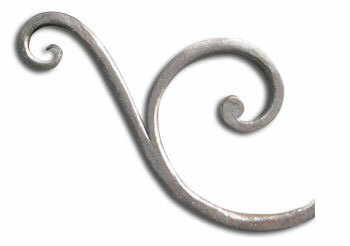 He specializes in historic forged ironwork focusing on the early hardware of New York's Hudson Valley. Much of his work is used on historic houses and museums, many of which are listed on the National Register. He also designs and produces contemporary ironwork of all types, including, furniture, railings and household ironwork. Jonathan's classes and demonstrations seek to communicate the beauty and simplicity of a pure forged approach to shaping iron. He covers tool making, forge welding, scrolls, approaches to authentic reproduction of historic hardware and much more.